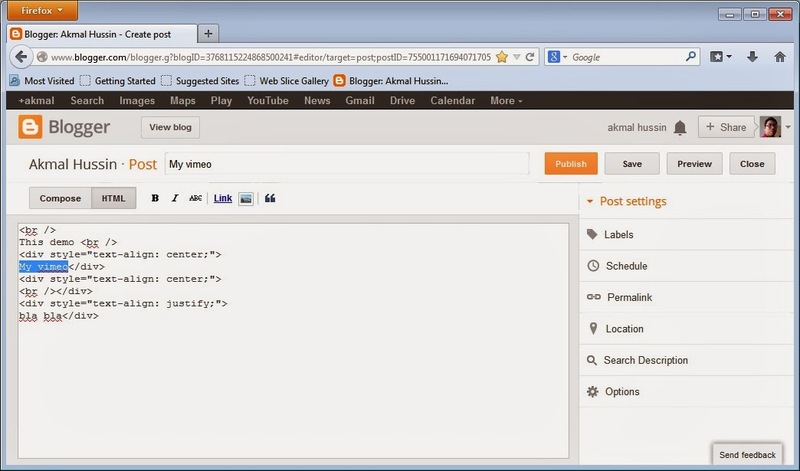 Vimeo is video + you. They put your videos first and give you the best ways to share, discover, and be inspired. 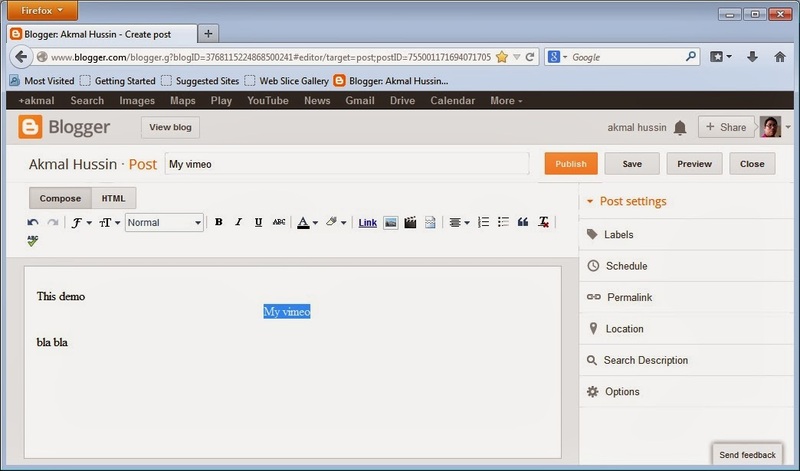 In this post I want to show how to embed a Vimeo video in your blogger blog. 1. 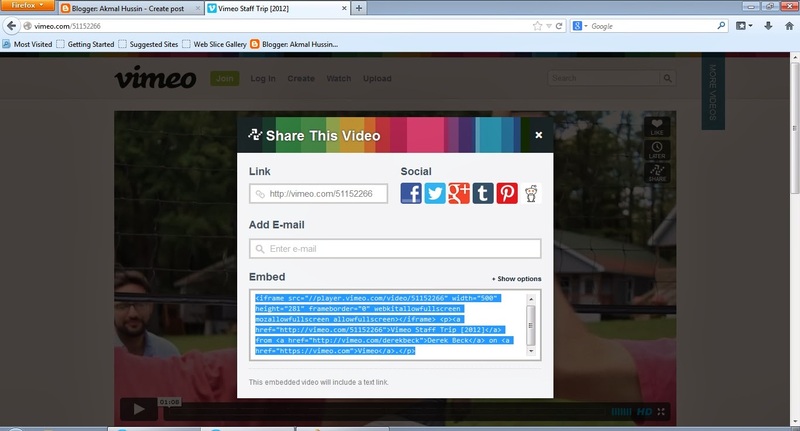 Go to Vimeo video and click share button in the video. 4. 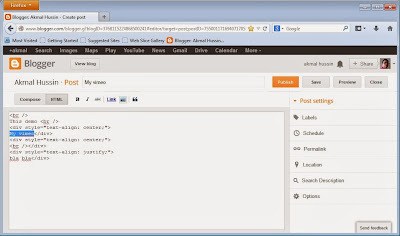 Click HTML in your editor. 5. Paste copied embedded code on word at the place where you want to put the video and save. 6. 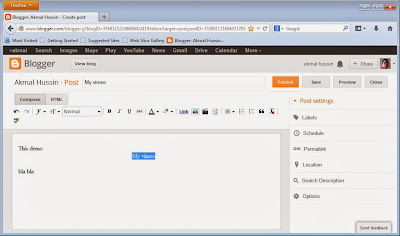 Click Compose to see the video. 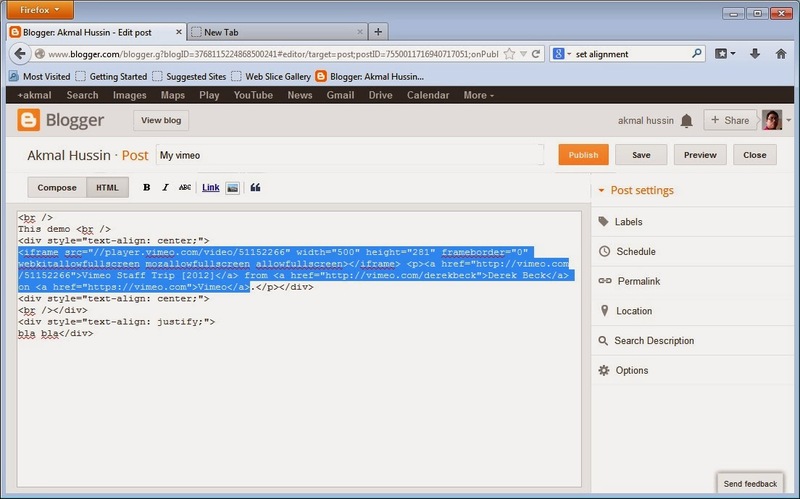 You can use this method for other that Vimeo embed code such as Twitter and Facebook. 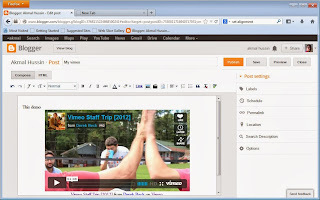 "Want To Put Video On Your Website in 10 Minutes?